PendoTECH is proud to offer In-line Single-Use UV Absorbance and Turbidity measuring and monitoring tools that collect data from the bioprocess fluid streams, while it is processing, resulting in less disruption to bioprocessing operations compared to measurements taken off-line. 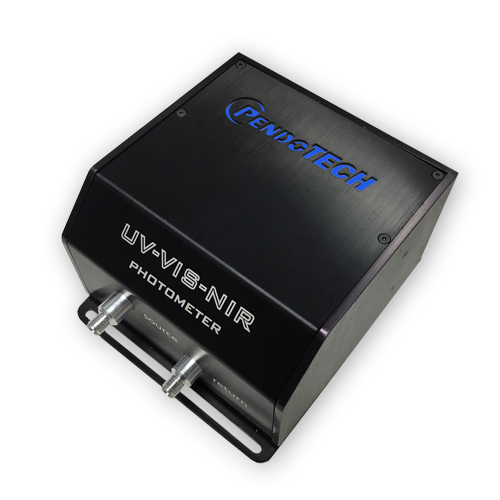 PendoTECH’s Single Use UV Flow Cells coupled with a compact photometer with fiber optic cables to measure the UV absorbance in filtration and chromatography applications without product contact. Additionally, stainless steel flow cell options are available. Our Turbidity Flow Cells and photometer measure the turbidity of un-clarified material from a bioreactor or fermentor, or measures bioprocessing liquid after it flows through a filter to provide consistent monitoring of filter performance. 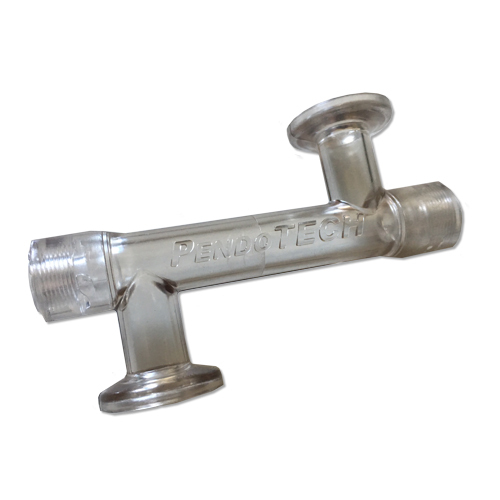 PendoTECH’s Single Use UV Flow Cells are cost-effective for disposable applications, but also may be repeatedly cleaned and reused. Both our UV and Turbidity transmitters can be integrated to a monitor with data acquisition capability or a control system. For increased versatility there is a dual wavelength unit available and two different measurements can be made with one flow cell. In bioprocess operations, the UV absorbance of a liquid solution can identify either the absence or presence of the molecule of interest. The measurement, typically at 280nm, is made by a spectrophotometer either in-line or off-line in a cuvette. A collimated beam of light passes through a sample with a defined path length and the absorbance is determined as the ratio of the light applied from the source to what passed through the sample. 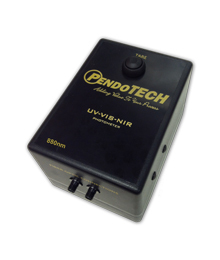 The PendoTECH Single Use UV Flow Cell enables the measurement to be made non-invasively. It is low cost for single use applications and may be repeatedly cleaned and reused. The flow cell is easily integrated to tubing and the measurement is made by use of a compact photometer with fiber optic cables. This flow cell contains a special glass window on the wall and compartments to attach the light source and detector. The stream to be measured flows between the windows by way of tubing attached to the hose barb ends of the flow cell. In bioprocess operations, the turbidity of the liquid after a filter can be measured as an indication of filter performance. It can also be used to measure unclarified material directly from a bioreactor or fermentor. The measurement may indicate undesired components are “breaking through” the filter meaning the filter is losing its capacity. The turbidity measurement at 880nm can be used in conjunction with pressure measurements in constant flow filtration processes to give an overall measurement of filter performance. To make an online turbidity measurement, use a device such as the PendoTECH Turbidity Flow Cell versus taking a discrete sample and measuring offline. There is no display or readout on the compact spectrophotometer because via its transmitter function, it is designed to be integrated to a monitor with data acquisition capability or a control system. 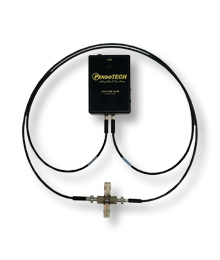 The raw output of the transmitter output in is a 4-20mA signal spanned to 0-2 AUs. PendoTECH offers data acquisition capability with it PC based PressureMAT Software or it may be integrated to other PendoTECH products. PendoTECH also offers a test rig and standards, SPEC-TRS (click for specification sheet) to confirm accuracy of the photometer against calibrated standards.